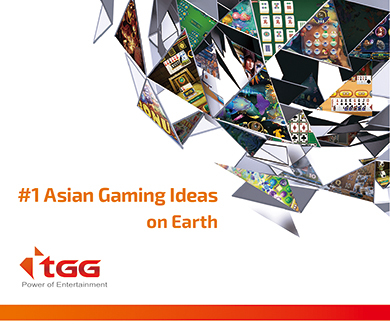 What can visitors expect to see at G2E Asia in May? What sectors of the industry are showing signs of expansion with regards to exhibitor representation at G2E Asia? G2E Asia 2018 will feature an exclusive focus on key industry segments across its interactive show floor. The new Digital Content & Technology section at G2E Asia will be the center of Asia’s gaming technology community for bingo, casino, lottery, mobile and social gaming. It offers networking and learning opportunities for Gaming elites to establish new contacts and to discover innovative ideas and insights into the latest industry regulatory developments. Atlantic City is a centuries old story of hospitality centered in a landscape of hotels, boardwalk, beach and ocean. In the early years, employees played out their roles, as working-class members, raised families from the wages of their seasonal employment opportunities. Others found more indiscrete occupations in the prohibition era inspired, “alcohol rum-running network,” in the back bays; supplying the then, illegal gambling rooms of the city. Personally, the memories of my childhood include the landscape of Atlantic City in the 1960s with its carnival attractions and warm sandy beaches. Years later in my late teens, I worked in the city’s marina district as a radio announcer. In the late 70s as old stately hotels were imploded into the city’s history, I began employment in the casino industry. What advantages do Casino operators gain from your impressive new facility in Las Vegas? The main advantage - and the reason we established it - is to service our huge supply chain and provide our customers with an extensive range of product at exceptionally low prices. There is no other company in the US that stocks as many makes and models in all of the different brands of machines - particularly late model machines - for the prices at which we are able to supply them. Las Vegas has always been the Entertainment Capital of the World. This hasn’t changed,and won’t, according to Murray, the Celebrity Magician, and resident Magic Star at Planet Hollywood, in Las Vegas. Should I Carry Out Due Diligence Before Joining An Online Casino? Choosing an online casino is not something that should be decided with the toss of a coin. There is so much choice out there and it is important to know who you are going to be depositing your funds with before you start playing. There are many rogue casinos on the internet so it is important you don’t get duped by one of these sites and lose your funds. It is vital to know the differences that separate the legitimate, safe online casinos and those that are to be avoided at all costs. Read more about Should I Carry Out Due Diligence Before Joining An Online Casino? How has business been since our last interview which took place more than 2 years ago? When we were speaking last time, the long planned concept of integrating all our offers into one open space, that we understand as a “Centre for Entertainment for grown-ups” has just come of age. As one of the last steps, the former hotel lobby has been integrated into that space. Our guests like this concept. Once they have passed by the entrance control, they have direct and unlimited access to our event hall CHAPITO, to the gaming floor, three restaurants, four bars, a hotel and all peripheral offerings. The casino card game of Pontoon is considered to be the earliest version of blackjack. Compared to standard blackjack, the game has different set of rules and terminology, which is why knowing blackjack or having an optimal blackjack strategy won’t help you in this game. If you want to play Pontoon and win cash, you have to learn the rules of game play, understand how it works and practice playing strategy moves. On the Internet, Pontoon is offered at online casinos that use RTG, Microgaming and Playtech software with a house edge of 0.38%. However, this Pontoon is different from the Australian one that is known among Americans as Spanish 21. Casino Life magazine recently had the opportunity to interview MGM Resorts executive Mark Prows, recipient of the 2017 Casino Entertainment Award at the 2017 G2E Gaming Convention in Las Vegas. Mark was integral in the design and development of T-Mobile Arena, which has become a huge hit among sports fans locally, and those visiting for major events. A 25-year veteran of MGM Resorts, Mark began his career in arena management and design 35 years ago, progressing through front-line positions to senior level management at five different arenas throughout the U.S.
For those of our readers not familiar with the charity, Young Gamblers Education Trust ‘YGAM’ could we commence this interview with an explanation of its purpose, aims and objectives? For those of you unfamiliar with YGAM we are an independent UK-Registered Charity with a social purpose to inform, educate and safeguard young people against problematic gambling or gaming. Of the twelve Priority Actions as identified in the Responsible Gambling Strategy Board (RGSB) National Responsible Gambling Strategy, YGAM’s social purpose contributes to delivery of Priority Action Eight; Education to Prevent Gambling- Related Harm.